The sad demise of one of Pakistan’s leading epidemiologists and international civil servants, Dr. AbdurRab in the morning of August 8, 2015 in Toronto, Canada was a highly tragic event. Such moments raise memories and heighten emotions. Social media, colleagues, friends and family members remembered his exceptional character and rich public health service. To reiterate one glimpse of his professional legacy, character and human nature, I felt it timely to share one unforgettable episode reflecting his technical advisory role and public health negotiating skills, while being at the helm of Pakistan’s Health Services Academy. This was in December 1993, seven months after my first landing in Pakistan, as a WHO Primary Health Care Medical Officer. The subject of the episode was the hepatitis E epidemic that hit severely the G9 and G10 sectors and a section of G11 of Islamabad, with close to 4,000 cases of acute infectious hepatitis with clinical presentation, the scientific report of this story was published in a timely manner1. I only want to record here Dr.AbdurRab’s human dimensions in leading this public health engagement from the disease outbreak investigation planning and implementation, the analysis of the data and the study outputs’ evaluation to the deliberation of the study recommendations, followed by leading the comprehensive policy briefing of the federal health authority and negotiating the implementation of strategic policy actions that carry a high opportunity cost of political and social nature. When the report of the study was finalized, an initial briefing was given under the leadership of Dr. AbdurRab to the Ministry of Health technical team, with the key proposal of closing the water purification plant that receives water from a highly polluted source. The matter was immediately referred to the Secretary for Health, the top civil servant having the highest administrative authority and final endorsement power of the technical decisions of the sector. I accompanied Dr. AbdurRab to Commander (Cdr) A. A. Naseem, anex-officer of the Pakistan Navy who sustained the aura of military style in his new capacity as the Federal Secretary for Health. Dr. AbdurRab briefed the Secretary about the submitted report of the study, giving a detailed explanation about the findings and outlined how the only solution to interrupt the epidemic was to close the only source of water to a large section of Islamabad, the G10 water purification plant, supplied by the polluted Lai stream. He also politely and without instilling fear explained how in action on this score would precipitate the problem and make the situation worse. The Secretary then said: “But don’t you realize that interrupting the water supply will be a disaster considering its social implications to the public?” Dr. Abdur Rab replied: “Yes Sir but a bigger disaster will be the doubling of the number of patients and the spread of the disease to other parts of the city and the country, with the health system becoming unable to get sufficient hospital beds and the risk of panic erupting in the entire city that could generate a wider national scare.”He advocated solving this problem by temporarily transporting water through tankers to the area until a sufficient number of wells were dug up on an emergency basis to permanently resolve this emerging problem. My role in the meeting as a WHO officer was primarily to substantiate, that we a public health lead international organization and a close partner of the government in this technical study, strongly stood by its recommendations. I could see that the Secretary’s eyes were less shining on the evidence relative to the solutions, as the suggestions showed that interrupting this outbreak was plausible though most challenging. Dr. Abdur Rab and I provided some examples from international experience and explained how political commitments for action can make a difference. I remember that after some more discussion, Cdr Naseem picked up the phone and called former Prime Minister (PM) Mohtarma Benazir Bhutto. In his brief communication with the PM, the empowered Secretary shared the study findings and recommendations, using the same arguments made by Dr. Abdur Rab and offering the same solutions. Having evidently convinced the PM, he promised to assume full responsibility and provide regular feedback to her secretariat. While sharing the good news with us, Cdr Naseem picked the phone again and called the water authority and gave the instructions of the PM to “close the plant immediately” and conveyed the water agency responsibility to ensure the supply of water to the areas, with additional financial support from the government. Subsequently, as Dr. Abdur Rab and myself emerged out from the Secretary Health’s office, I could observe the satisfaction on his face, though he was quiet, relaxed and unassuming. On the contrary, my heart was beating fast, and I could not wait for the time necessary to pass this information to the WHO Representative. In my 39 years of health service experience, this was the fastest translation of evidence into action. I am sharing this great legacy of Dr. Abdur Rab for the immense lessons it has to offer: i) that public health success is not only about getting strong evidence, but the art of translating these valuable findings into action on the ground. Indeed the “know-do” gap is constantly on the increase because of public health research’s poor translation capacity; ii) Policy makers are the real leaders of public health, as hardly any great discovery in public health was translated into action without ensuring a strong policy implementation support iii) to make institutions and government policy makers boldly endorse the recommended implementation, health professionals need to proactively generate support through the system about the viability and effectiveness of the proposed interventions in terms of their lasting outcomes; iv) to plan and implement a behaviour change, communication intervention focused on the target population,as an integral part of the investigation and implementation process. Indeed, during the epidemiological assessment of the outbreak, the investigation teams were instructed to educate the households on the importance of boiling drinking water, hygiene and sanitation. This effort has created a climate of community tolerance to the water supply shortages that occurred as a result of the solutions pursued. The confirmation of the closure and monitoring of the water purification plant, the mobilization of time-limited and sustainable strategies for water supply and the public briefings were led by the SH who kept Dr. AbdurRab as his close advisor on the subject. It was indeed gratifying to witness the interruption of the epidemic in a very short period. Dr. AbdurRab’s public health knowledge wouldn’t have made a difference if not his compassionate character for the welfare of the population, his soft though influential negotiating skills and his commitment to keep no stone unturned to interrupt this disease outbreak. Dr. AbdurRab has made many equally meaningful public health breakthroughs that could only be compiled by a meticulous researcher. However, I cannot forget his decisive role in the eradication of Guineaworm disease (Dracunculiasis) in Pakistan, a disease causing temporary diasability2. Dr. AbdurRab was the national public health leader for this initiative, and he rightly deserves an award for this unique service to the nation of Pakistan. He often used to narrate about his fight with this waterborne disease in the most difficult and remote areas of Pakistan such as Bannu, Dera Ismail Khan, Dera GhaziKhan in northern Pakistan, and Tharparkar, Mirpurkhas, Umerkot and Sangharto the South, and successfully achieved the goal of national level eradication in 1993. He was a shining star in public health and his legacy extends from becoming a professor in public health in Pakistan and one of the leading scientists who developed the first Master in Public Health programme for the Government of Pakistan at the Health Services Academy (HSA), offered by Quaid-e-Azam University in Islamabad, and becoming also the HSA Executive Director. 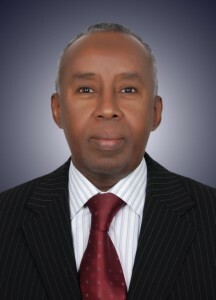 His international key performances include his dedicated services to the Eastern Mediterranean Region of the World Health organization (WHO), as a Regional Advisor on Research Policy and Cooperation for the 22 countries of the Eastern Mediterranean Region of WHO, where he paid special focus on research ethics3; and as the WHO Country representative in Sudan. After his retirement from WHO, Dr.Abdur Rab joined in early 2012, the Western University, in London, Ontario, Canada as a Professor and the founding director of the Schulich Interfaculty Program in Public Health, where he helped in setting up the building blocks of a Master of Public Health (MPH) Programme. Nations and organizations do not produce such giants every day. We need therefore to honour his accomplishments meaningfully. A research grant in his name may be established in the Health Services Academy in Islamabad and in other universities of Pakistan, offering at least several small or medium scale research grants every year. A foundation could also be established in his name for public health research advancement. The World Health Organization could extend its support to such a foundation. Honouring Dr. AbdurRab is not a family affair, but a regional and national obligation that requires to be fulfilled through action to emulate his spirit, character and sustain his awesome scientific public health legacy. AbdurRab M, Bile KM, Mubarik MM,Asghar H, Sami Z, Siddiqi S, Dil AS, Barzgar MA, Chaudhry MA, AndBurney MI. Water-borne hepatitis E virus epidemic in Islamabad, Pakistan: a common source outbreak traced to the malfunction of a modern water treatment plant. The Am. J. Trop. Med. Hyg.. 57(2), 1997, pp. 151-157. AbdurRab M. Adieu! Guinea Worm. J Pak Med Assoc. 1989 Mar;39(3):83-8. Ethical practices for health research in the Eastern Mediterranean region of the World Health Organization: a retrospective data analysis.AbdurRab M, Afzal M, Abou-Zeid A, Silverman H. PLoS One. 2008 May 7;3(5):e2094. doi: 10.1371/journal.pone.0002094.